Naming is the privilege of God the Creator. He named what He made. But God also gave men and women the authority to name what they create: our children, our land, our businesses, and more. 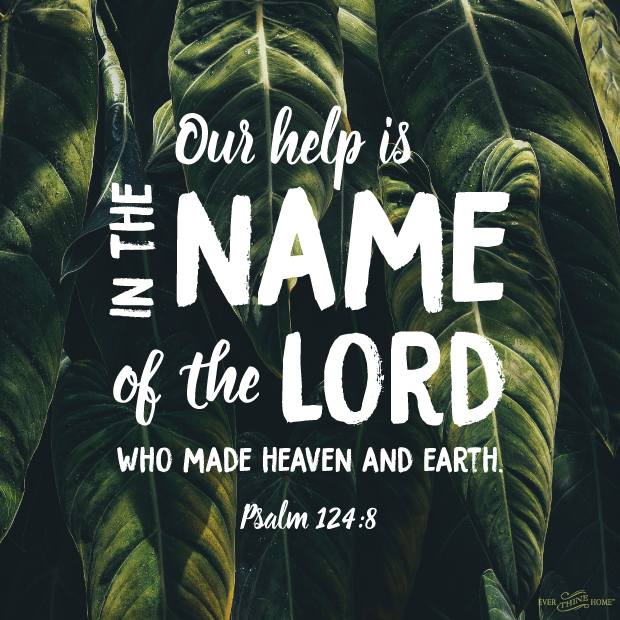 Naming is a God-like quality that makes us distinct from all the rest of creation. What we name our children is important, empowering our sons and daughters with an important facet of their identity, which they will carry for life. -How does it feel to be given the power of naming? -Do you sense the kindness of God plus the responsibility to choose well? -Talk about your favorite names and why you like them. -How does it feel to have a special nickname? -How does it feel when a nickname is rude and destructive? 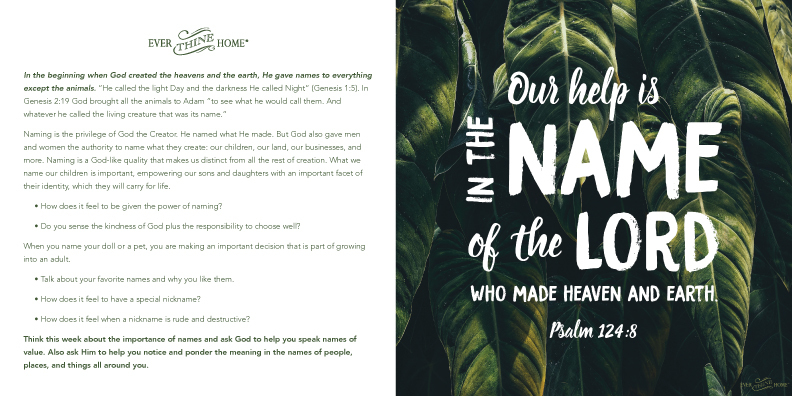 Think this week about the importance of names and ask God to help you speak names of value. Also ask Him to help you notice and ponder the meaning in the names of people, places, and things all around you. I have always been fascinated by the names of things. I’m always like where did that name come from, or why did they name that person this or that? For instance my mom said that she named me after her friend whom she thought was beautiful, but also because her name was different. I have never even thought about the fact that we have this unique gift given to us by ABBA because He made us in His image and likeness! THANK YOU for allowing me to indulge on these invigorating morsals!